In January 2016, Orion International acquired Novotus, the #1 Mid-Market Recruitment Process Outsourcing firm, to create a new suite of recruiting solutions designed to satisfy even the most challenging of hiring needs. Recruitment Process Outsourcing, RPO, is defined by The Recruitment Process Outsourcing Association (RPOA) as “a form of business process outsourcing where an employer transfers all or part of its recruitment processes to an external provider. RPO providers can manage the entire recruiting/hiring process, or can manage one or two aspects of the process, essentially serving as an extension of the company’s human resources department”. RPO, in combination with the best-in-class Military Talent Programs Orion International offers, gives clients the opportunity to take their hiring to the next level with customized talent acquisition solutions. 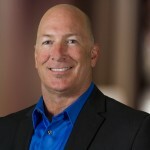 Led by Cory Kruse and a seasoned team of professionals, Novotus is an Austin, Texas, based RPO company that has been delivering recruiting results for more than 14 years. In the annual RPO Baker’s Dozen List, compiled by HRO Today, Novotus ranked #1 in the Mid-Tier or Specialty Market Leaders category. Human Resource Executive and The Outsourcing Industry compiled client surveys to create a ranking of RPO provider strengths, which ranked Novotus as the highest overall provider for Mid-Size deals. Novotus’ goal is to improve hiring results and control costs. Novotus becomes the voice of a client’s recruiting team, and takes responsibility for the process and results of recruiting, from requisition launch through hiring and onboarding. Novotus works seamlessly with hiring managers, within their existing ATS (if desired), with client assigned email addresses and other contact info. As they work to execute the agreed upon recruiting strategy, Novotus will simultaneously build a customer's employment brand and talent communities. - Established metrics and reporting structure specific to your organization. - Quarterly Review Sessions – Evaluate trends, review KPI fulfillment and discuss future needs. - Continual evaluation and improvement of recruiting process and related outcomes. - Workforce planning and strategic talent acquisition to support organizational growth. - Consistent, predictable results that are metrics driven. Novotus also offers Client Talent Briefs. These frequent updates include the industry trends, specific strategy and ROI in a Talent Brief that can be shared with executive team, thus helping clients communicate effectively with company leaders--another integral part of any recruiting solution. To discuss your recruiting needs with Novotus and receive a free, no obligation proposal, please contact Novotus here.